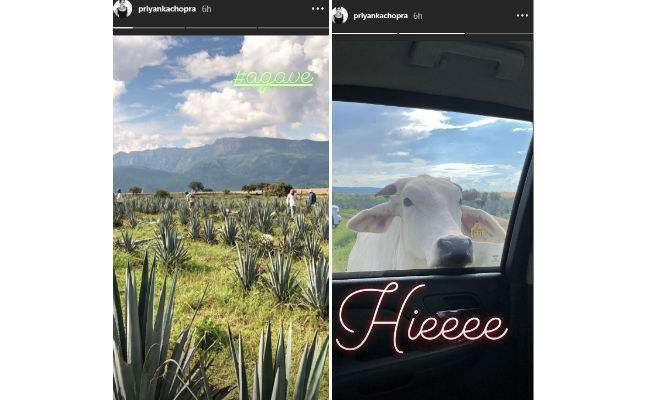 It’s vacay time for Priyanka Chopra and Nick Jonas! After their engagement in India, Priyanka Chopra and Nick Jonas have taken some time off from their hectic schedules to be together. 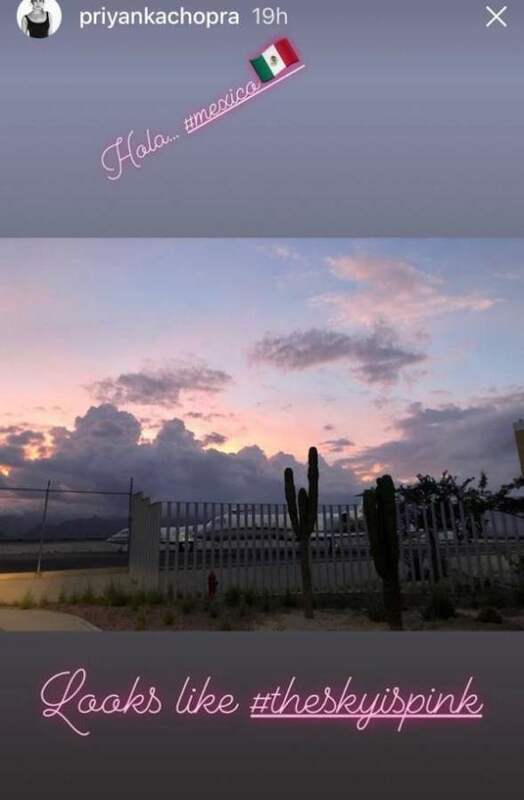 Pictures of the two arriving in Cabo San Lucas (known for its pristine beaches) are circulating on the Internet. In the pictures, Priyanka can be seen in printed blue co-ords and Nick looks dapper in white T-shirt and denims. In other pics, Nick is seen with Priyanka and another man on a sunny day. He wore a bright orange shirt while she was seen in a floral blue dress and a white shrug. Check out the pictures here and just look how happy Priyanka is looking in them. Revealing the details of Priyanka and Nick’s speculated hush-hush wedding, a source revealed to a media portal, “Both Priyanka and Nick wanted an intimate affair, away from the paparazzi and Hawaii seems to be the perfect destination for that. Besides, the islands of Hawaii are extremely special for Nick as he has shot for both Hawaii Five 0 and Jumanji there. He also loves the ocean. So, this choice comes as no surprise”. On the work front, Priyanka is shooting her new Hindi film The Sky Is Pink. She had reportedly signed Cowboy Ninja Viking opposite Chris Pratt but the film has been postponed indefinitely. Nick Jonas recently released a song with Robin Schulz called Right Now which may or may not be about his lady love, Priyanka Chopra. Buzz is that Priyanka and Nick will soon also be flying to Italy to attend a common friend’s wedding. So, here’s to more holidays, Priyanka and Nick! CHECK OUT-Priyanka Desi Avatar Slayed Or Alia’s Elegance Stepped Forward At Akash Ambani’s Pre- Engagement Function! Next story Sanjay Leela Bhansali Is Upset With Reports Of Aishwarya Rai Opting Out Of His Film?